JNN 01 May 2014 Tehran : Iran and Russia are negotiating a power deal worth up to $10 billion in the face of increasing US financial alienation. The construction of new thermal and hydroelectric plants and a transmission network are in the works. Iran’s Energy Minister Hamid Chitchian met his Russian counterpart Aleksandr Novak in Tehran on Sunday in order to discuss the potential power deals, according to Iran’s Mehr news agency. Moscow has additionally been discussing the trade of 500,000 barrels a day of Iranian oil for Russian goods with Tehran. The protracted deal, first reported at the beginning of April could be worth as much as $20 billion, and has rattled Washington because it could bring Iran’s crude exports above one million barrels a day – the threshold agreed upon in the nuclear deal between the P5+1 powers – US, Britain, France, China, Russia and Germany – and Iran. Moscow and Tehran are far from finalizing the contract, according to Russian business daily Kommersant, which first broke the news. Nonetheless, the Obama administration has expressed distaste at the reports. Tehran’s ambassador to Moscow Mehdi Sanaei said on Friday that the implementation of Iran-Russia energy agreements hold the key to economic expansion. Sanaei underlined the importance of promoting of Iran-Russia cooperation and called for the implementation of oil, gas and electricity deals, according to Press TV. 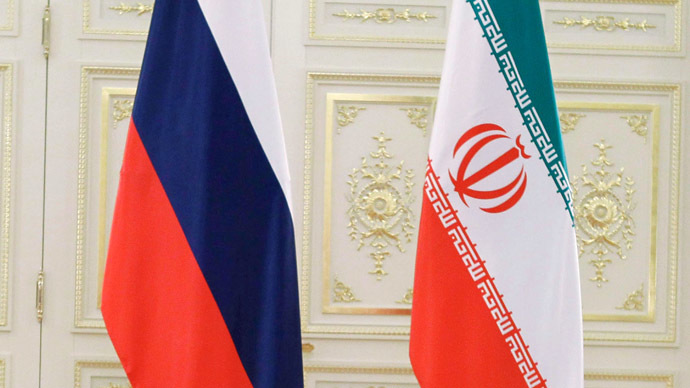 Russia-Iran trade is currently worth $5 billion a year, but economists say the two countries can at least quadruple the volume of trade. Earlier this month, Iranian Oil Minister Bijan Namdar Zanganeh said the Islamic Republic is determined to raise the volume of its “economic transactions” with Russia. This entry was posted in Asia Pacific, Europe, Iran News, Middle East and tagged Hydro Electric Power Generation, iran, Power Deal, Russia, Thermal Power Plants. Bookmark the permalink.